Anyone that knows me will tell you I’m not the biggest fan of spending money, it’s not that I’m tight, I just like to know that I’m getting a good deal. The trouble is that there are people and companies out there that are only too happy to part you from your cash regardless of whether it’s a good deal for you or not. My wife often jokes, that when we buy a big-ticket item, everything else associated with it should be free. How nice that would be, think of buying a house and not having to pay for gas and electric, your water, your insurances, your home cover and maintenance or buying a car and not having to put petrol, road tax or insurance. Unfortunately, we do and buying any of those things I mentioned above only means that in a years time we’re going to have to buy it all over again. 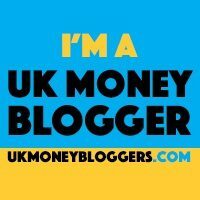 I recently read a post by Lynn James over at MrsMummyPenny about how switching home insurance was not her favourite task. Sod’s law the following day, I received our insurance renewal notice, it had increased by around £23 for the year. This in itself isn’t a huge amount but this brought our annual premium to an amount that I was not ready to pay, our financial situation has changed and as a result, I needed to try to cut costs where I can. I have to admit that last year I let it auto-renew, not something that I usually do, though this year was different. I just couldn’t see how they could justify the premium so checked their documentation to make sure that the information that they held was correct. It was but just couldn’t see how they could justify what they had proposed as my new annual premium costs. The desktop was turned on and I went about my search for a cheaper alternative. My previous comparisons for car insurance often get me about £50 off so was happy if I could replicate this with my home insurance. To my annoyance, the best offer that I would find, not necessarily the cheapest, that was as near on like for like as I could get to the current policy was over £240 a year cheaper, that’s right £240 per year. Building and contents insurance wasn’t ever anything that I had to consider being a renter and thought that what we were paying was probably the norm for our house type. It is only when people open up about their finances can others benefit. It doesn’t seem to matter who we contact, when we sign up with them, if we don’t pay by direct debit, they are more than happy to ask whether we want them to keep our card details. No, I don’t, thank you very much. Whilst they try and spin this as something purely as a matter of convenience, this assists them when it’s time to renew and they are hoping that you can’t be bothered with the hassle of looking for a new provider. It also gives them an opportunity to try and change your mind when you ring up to ask that they remove your card details from their system because you have found a cheaper supplier elsewhere. Things to remember about renewal notices. Companies aren’t’ don’t exist to do you a favour, they are there to maximise their own profits. They rely on people paying on a renewal notice, there is little risk to them in sending out a renewal notice, apart from the cost of paper and postage and may be some element of administration. 1. Is cost the most important factor? It’s a false economy that would suggest that cheaper is always better. Do your own research, what are other people saying about the company? Are they available when you need them to be? 2. Are you able to afford to pay the annual fee in one go or will you be paying in monthly instalments? If you are able, it is going to be more advantageous to pay annually that it is monthly as many companies place a premium on customers paying by direct debit. 3. Is the information that the company holds correct? Companies can get things wrong. Check the information they hold about is correct, but also make sure that they haven’t added on any extras that you weren’t expecting. This might have an effect on the price that they are prepared to offer you. 4. Are you still under contract? Check your terms and conditions, if you are still within contract what fees will you be liable for. Will any savings that you might make be offset by this cost? If you’re not a natural born saver or salesperson then haggling might be alien but remember if you don’t do it no one is going to be able to do it for you. Don’t feel daft in rehearsing the telephone conversation or if you don’t want to make human contact look to see if they have a live chat facility. Always be ready to walk away if you don’t get what you want. If you’re still not sure, this guide on how to haggle from Francesca at From Pennies to Pounds might help. Remember that you have a choice and just because someone quotes you a figure doesn’t mean that you necessarily have to accept it. Take your time and prepare to do some legwork, as much as you might not want to go through the hassle of finding cheaper alternatives if you are able to save some money at the end of the day then why not give it a go. I did and saved £240 for half an hours work.